Imagine a world where every person spent 15 minutes a day giving back to society. A good portion of those people would be inspired to help animals. Imagine the impact that would have on animal rescues and shelters. The truth is that every person probably would give back if they had the time or financial means. The fact is that most don’t though. In order to get more people to give back, you need to make it easy and affordable for them to do it. Imagine if people could help save animals and give them a better life just by taking care of their own dog? Well, you know what? They can. Most dog owners walk their dog for at least 15 minutes a day. At the very least, they walk them a couple of times a week. 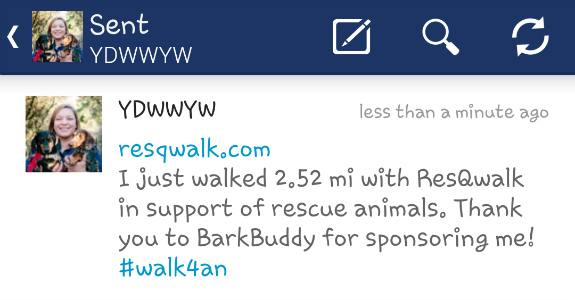 If those dog owners used the ResQwalk app, they could raise money for their favorite rescue while they are out walking. It’s easy to use the ResQwalk app. It’s quick to download and is available for both iOS and Android operating systems. It takes only a minute or two to set up a profile and find a rescue on the list to donate to (If your favorite rescue is not on the list, you can direct them to the sign up page). Then, to start earning money for that rescue, the app just needs to be on during the walk. The more miles tallied for a rescue, the more money they get. It’s that simple. This is how it works: Every month, a sponsoring business donates $2500 to ResQwalk. The ResQwalk app records the distance walked for a particular shelter and divvy’s up the money pot based on those miles. The rescue receives their weekly portion of the pot direct deposited into their Paypal account. The rescue’s profile shows how much money has been donated to them so far. I tried the app myself and think it’s great but I will admit it’s use is limited. Additional features may be coming in the future but, right now, it’s designed only to track miles and donate money. This is not a good app for tracking your fitness. “Great”, I thought. Now I have to feel guilty when I am tracking my fitness with an app instead of using the one that will use my help needy animals. That’s not the case though. I tried using the app in conjunction with my favorite fitness app and they both worked. Instead of having to choose, I can use only the ResQwalk app when I am out for a casual dog walk and use it alongside a more robust fitness app when I want to get serious. My skeptical mind asked why in the heck businesses would just give $2,500 to a little ol’ app. I mean, it’s benefiting animals but these are businesses after all. I figured it out when I tweeted my activity. The companies that donate the monthly pot are promoted every time someone shares a walk on social media (you can choose to do this or not). Also, their logo appears on the app and promotional materials for the month.They are gaining visibility, brand awareness, and also being associated with “doing good”. Normally, I am not a fan of app-generated tweets that blatantly promote a company but I really do appreciate the generosity of these corporations so I don’t mind giving them some “air time” as a thank you. I am going to warn you ahead of time: When I read the reviews on the app before I downloaded it, a lot of them cited inaccurate distance tracking. As you can see below, I also had this issue when I first tried it (at least it erred on the positive side). The app version I tried though, and the version most negative reviewers did too, was the early release version and there were still some bugs being worked out. An update came out a few days after I downloaded the app and I haven’t had an issue with distance tracking since then. Is this app something you would use? Why or why not? To add your link to the hop, click “Get the Code” below, add your information and link to your post. 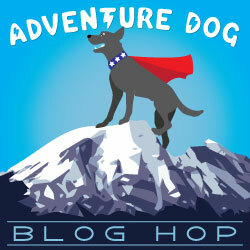 Join us on Twitter the third Wednesday of each month at 5 pm PST/8 pm PST for #AdventureDogChat. That sounds like a great app-we’re going to try WalkForADog and see how it works, and maybe we’ll give Resqwalk a try too. 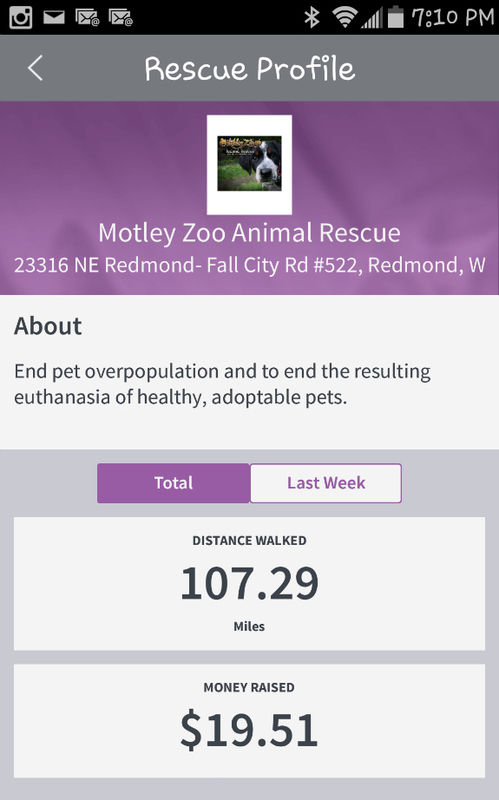 Is it possible to use multiple walking apps to benefit shelters and other animal organizations? I don’t know about using multiple walking apps that benefit rescue. 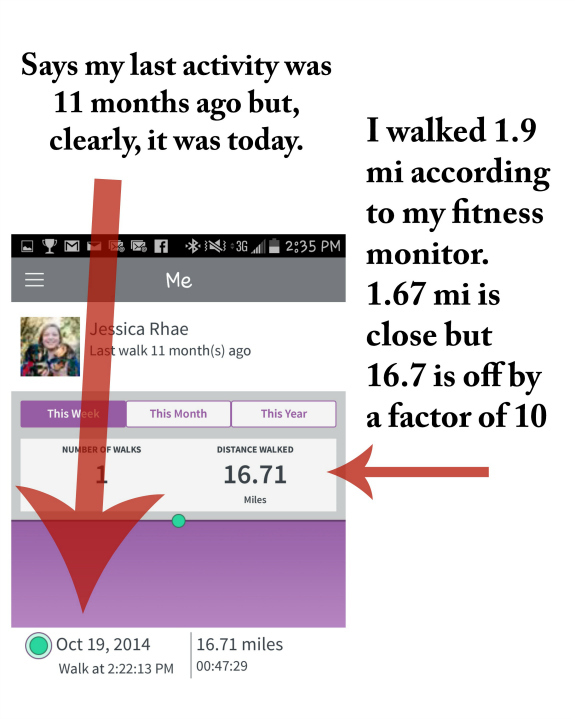 Since I was able to use both the ResQwalk app and a fitness app, I imagine that you could. Morally, I am not sure how I would feel about that. It feels kind of like cheating. I might alternate the apps I use until I made up my mind. If we could help benefit two different groups through the different apps while doing what we normally do (if the apps allow that), that would be awesome. We wouldn’t do it for the same group on two different apps-that feels like cheating. am getting my new iPhone seen so will add this app to it. Don’t normally walk with my phone, though; I like the quiet and try to meditate….somewhat. Very good idea. I’ve been using WalkForADog and it’s worked pretty well so far, I might look into this one too! I’ve never heard of that one. I was going to look into it but my friend Bethany shared a blog post here that compared it and ResQwalk (it’s in these comments if you wan to read). She said she liked ResQwalk better. What are your favorite parts of the WalkForADog app? I haven’t really compared the two, I just signed up for the first one and haven’t looked back! Oh. My. Woof. Jessica! I had absolutely no idea that you could use two GPS based apps at the same time. I always feel like a jerk because even though I want to help…we rely heavily on our fitness app to track activity week over week, to monitor my heart rate, calculate calories burned etc. It never would have occurred to me to run both apps. AWESOME. You didn’t mention it, but I just checked out the site and I can even use this app in Canada! Um…JACKPOT. I can’t use 90% of anything up here. I will definitely download this. I am happy to hear that you can use it in Canada! I did read something about the app that specified that “US rescues” were required to be 501c certified (or their application must be pending) so it seemed to imply to me that there were some rescues on there not located in the US. I had never thought about using to GPS-based apps together but guilt is a great motivator. I didn’t want to feel guilty for using a fitness app instead of this one so I thought I would try using both together. I was pleasantly surprised when it worked. That “glitch” screen shot was taken after the first try at using both of them together. At first I thought that it could have been the use of two apps in conjunction that threw the numbers off but the numbers were correct the second time I tried it…so nope. I have used the app several more times since I wrote this post and I didn’t get the number discrepancies. I am waiting for a few more times (to be sure) before I can declare it fixed. Anyway, love knowing about this! Hi Jen. Tweeting or sharing on Facebook is optional. I was told that the logo of the monthly sponsor was on the app so that is one way you can check who it is before you promote them. I must be a dunce or something though because I have looked all over the app and did not find the logo for the current sponsor. Wow, now that is a really neat app. We all go on walks with our humans, why not walk to make money for rescues?! Brilliant! We’ll have to tell our rescue group that we volunteer through about this, so that we can sign up for an account! 🙂 Thanks for sharing! 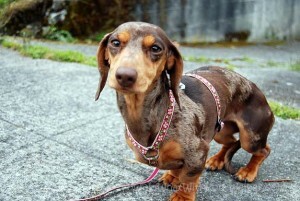 I did a side-by-side comparison of ResQWalk, two other dog walking apps and my old-reliable favorite GPS app a little while ago: http://www.cascadiannomads.com/pet-adventure-blog/dog-walking-app-extravaganza-DogWalkingWeek ResQWalk is definitely my favorite. Thanks for sharing Bethany. Someone else here mentioned the WalkForADog app. I had never heard of it before and curious about how it compared. You just saved me the time of researching it! I admit, I don’t use the fitness apps because they drain my battery. But I would consider using this app if it were donating to a local rescue. If they can add some more features, it could be a really great app!